This is an example of a mid-sized modern kitchen/dining combo in Sydney with white walls and light hardwood floors. Design ideas for a modern kitchen/dining combo in Melbourne with white walls, dark hardwood floors, a standard fireplace and a brick fireplace surround. 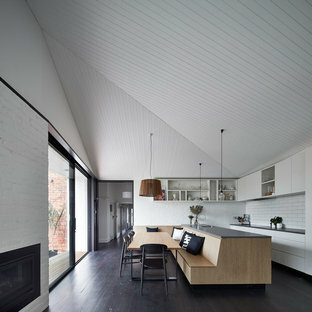 Inspiration for a modern open plan dining in Sydney with light hardwood floors. Photo of a modern dining room in Sydney with medium hardwood floors and brown floor. 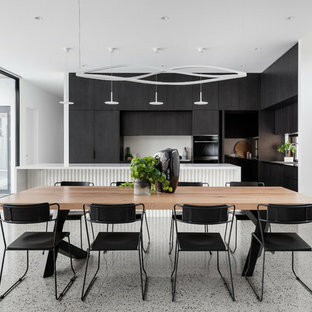 Modern kitchen/dining combo in Perth with white walls, concrete floors and black floor. 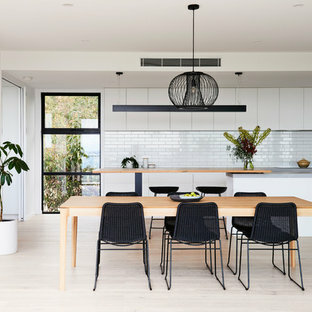 This is an example of a mid-sized modern open plan dining in Geelong with white walls, light hardwood floors and brown floor. 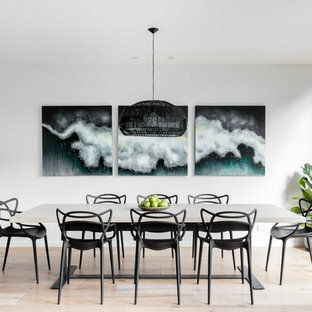 This is an example of a modern separate dining room in Brisbane with white walls and grey floor. 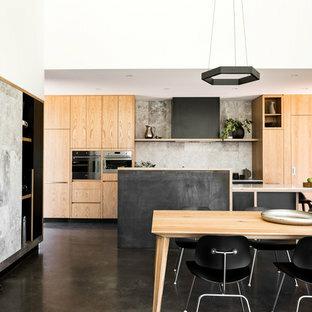 Modern kitchen/dining combo in Hobart with white walls, concrete floors and grey floor. 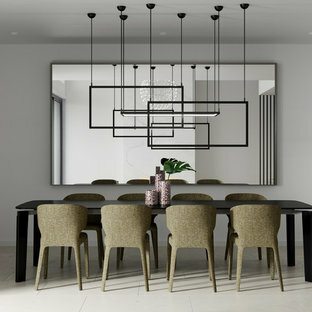 Photo of a modern dining room in Perth with white walls and beige floor. Design ideas for a modern open plan dining in Perth with grey walls and grey floor. Inspiration for a modern open plan dining in Melbourne with white walls and light hardwood floors. 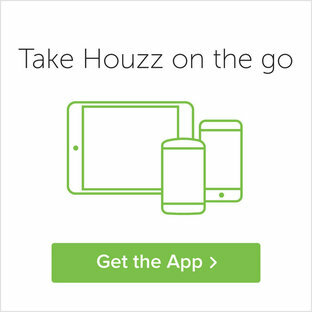 Design ideas for a large modern dining room in Melbourne with white walls, a ribbon fireplace and grey floor. Modern dining room in Melbourne with light hardwood floors. Inspiration for a modern open plan dining in Melbourne with white walls and grey floor. Design ideas for a modern kitchen/dining combo in Sydney. 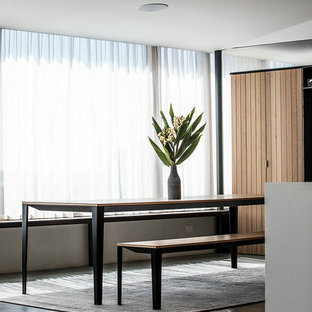 Photo of a modern open plan dining in Melbourne with white walls, concrete floors and grey floor.